If you are looking for solitude, wide open spaces, interesting cloud formations against a brilliant blue sky and you want to get back to nature, close to Cape Town, the Anysberg Nature Reserve is the place to go. 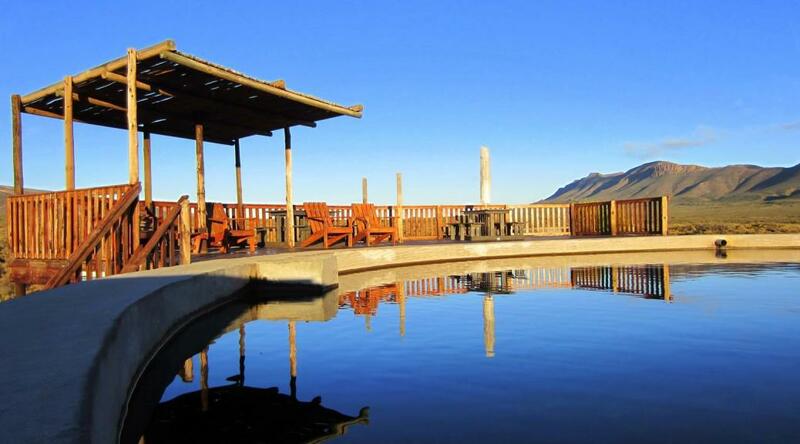 This is not only the ideal weekend breakaway for Capetonians; visitors to the Western Cape should also put this unique Klein Karoo reserve on their itinerary. 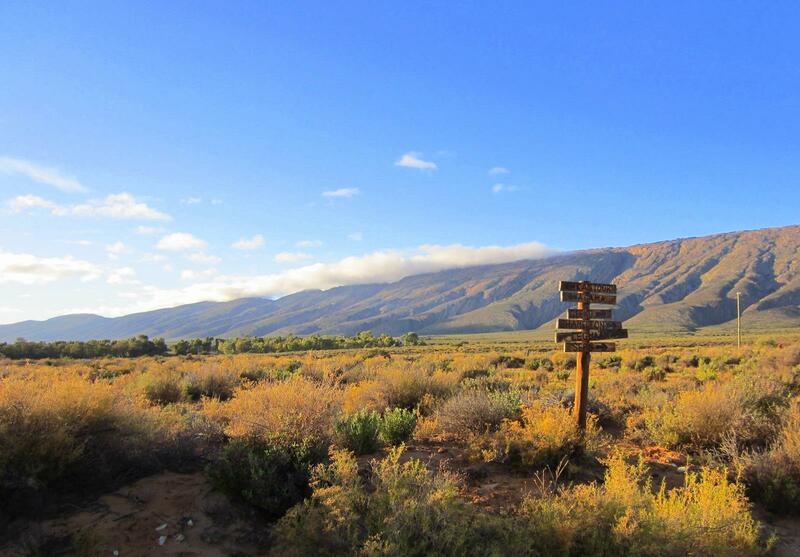 The Anysberg Nature Reserve lies in the heart of the Klein Karoo between Ladismith, Laingsburg, Touws River and Montagu and offers beautiful Karoo scenery. 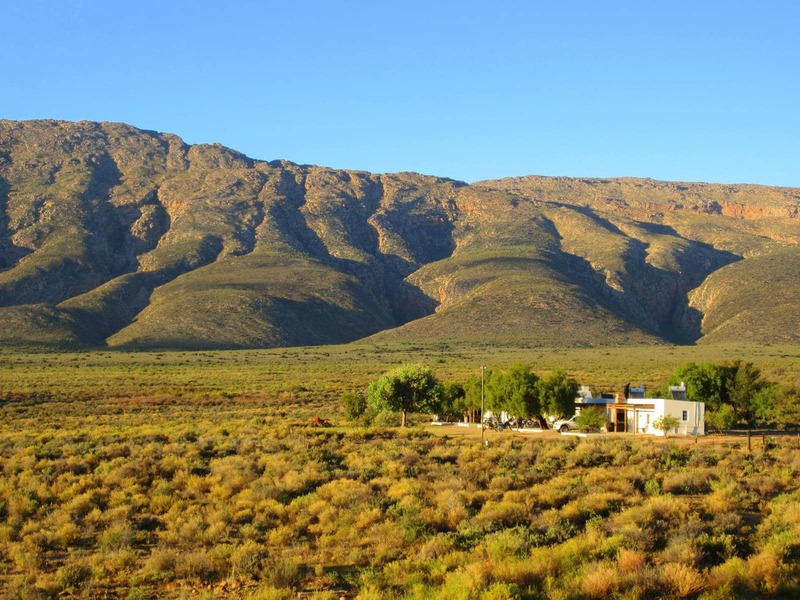 Montagu is a mere 185 km from Cape Town by tar and the distance on the gravel road from Montagu to the Anysberg cottages and campsite is 70km, which makes it the ideal weekend trip from Cape Town. The reserve encompasses just over 64 500 hectares of both mountains and plains, with vegetation that varies between Cape mountain fynbos and semi-arid Karoo veld. Apart from a rich plant and bird life (180 species are recorded), the reserve hosts the Cape mountain zebra, caracal, riverine rabbit and brown hyena. 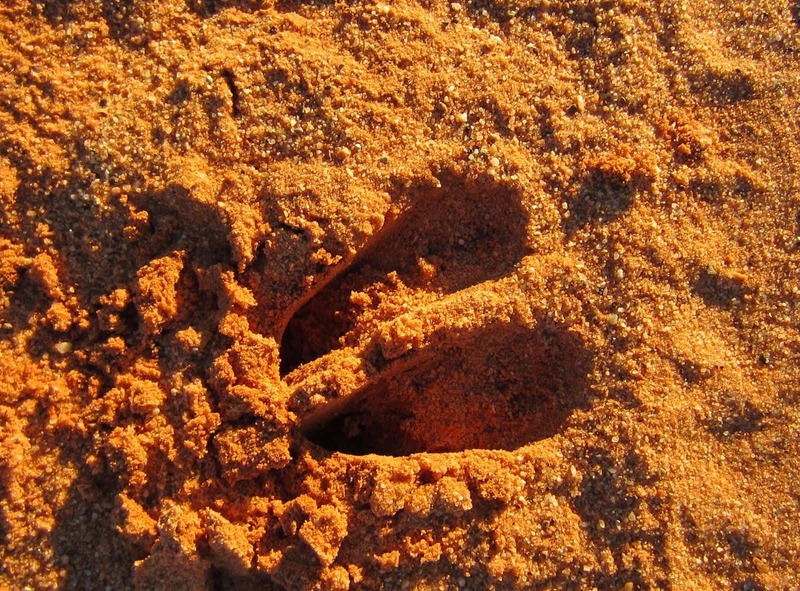 At night you will hear the jackal cry and if you go for an early walk, you will be awarded with various kinds of antelope spoor in the damp red sand. Apparently leopards still roam the mountains but your chances of spotting one of these notoriously shy creatures are extremely slim. Mountain fynbos mixed with semi-arid Karoo veld. Buck spoor in the damp sand. The reserve really takes you back to nature; there is no cell phone reception, no tar roads and no electricity! Some of the cottages can only be reached with a 4WD vehicle, bicycle or on foot. 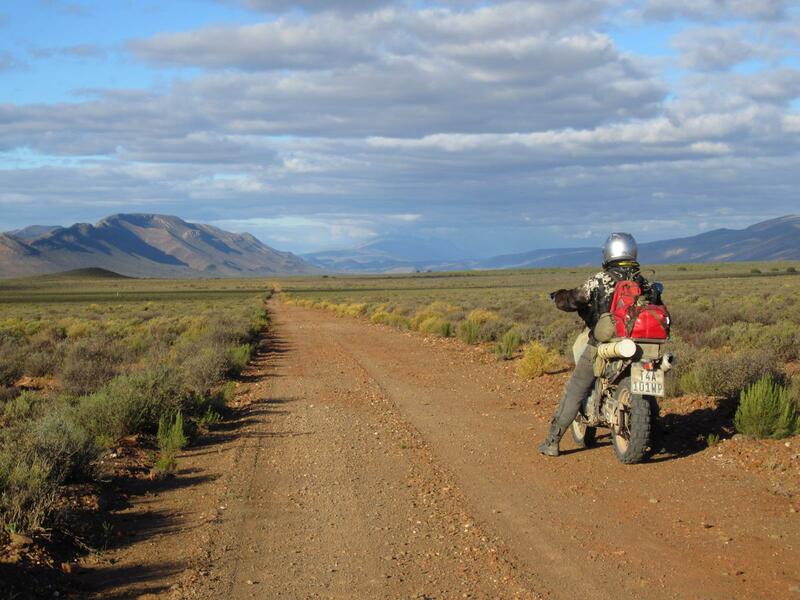 The reserve is motorbike friendly; I was part of a small group of motorbikers who explored the reserve in 2013. I was one of the inexperienced riders in the group who found the route challenging, with enough sandy patches, dips, loose stones and dry riverbed crossings to keep the adrenaline pumping. For the experienced riders in the group it was pure fun. The Anysberg Nature Reserve is biker friendly. During the day you can embrace the majestic beauty of the landscape and at night you will see the most brilliant night sky that makes you realise why SALT (Southern African Large Telescope), which is the largest optical telescope in the southern hemisphere, was built at the observatory in Sutherland 200 km away. Anysberg is an absolute paradise for star gazers and star photographers. Perhaps choose a time between the extremes of high summer (December to February) and mid winter (June/July), as it can be uncomfortably hot in summer and the night temperatures can drop to below freezing in winter, although the days will be mostly pleasant. They have five campsites available with communal ablutions. Thanks to solar and gas they do have hot showers. Six unique and well-equipped self-catering chalets are available with hot water, again thanks to solar power and gas. They also have gas stoves and most of them have inside fire places or a Dover stove. As can be expected in sunny South Africa, all houses have outdoor braai places. The self-catering cottages are very comfortable and have a lovely setting. Even though there are no formal hiking trails in the Reserve, there are many paths to explore. Visitors can bring their own mountain bikes or rent from the reserve office to crisscross the many jeep tracks within the Reserve. There is a raised stargazing platform, built next to the office, with a telescope. Otherwise you can just marvel at the night sky from your campsite or cottage. The old farm dam was revamped into a stunning swimming pool with a sun deck. In summer you will really need to cool down. The best way to discover the more remote areas of the reserve is on horseback. The reserve offers guided excursions, ranging from two hours to two days. These have to be booked in advance. There is also a 4WD trail in the reserve for which you need to get a permit from the office. Discover the Bushmen (San) rock art and archaeological sites scattered through the reserve. 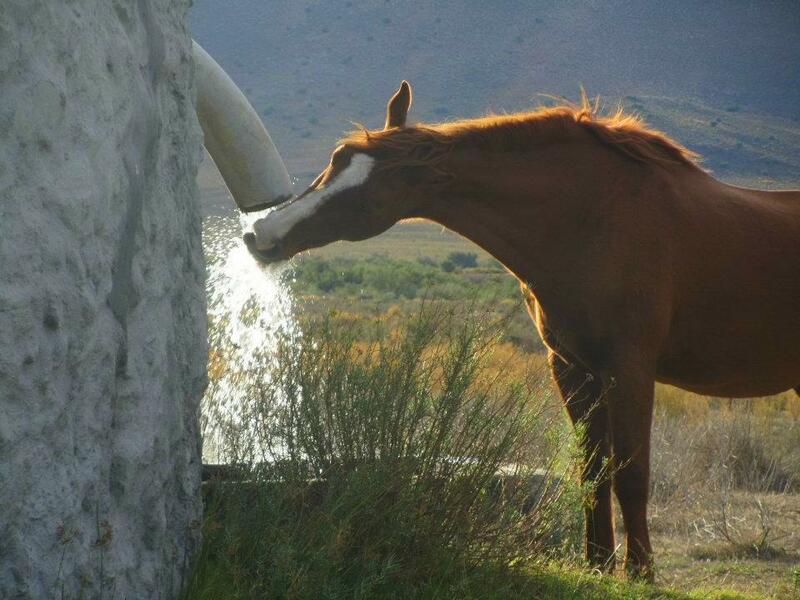 One of the horses drinking from the dam overflow. Bookings can be made on the CapeNature website. There are no shops in the reserves, but wood and soft drinks are for sale at the reserve office. 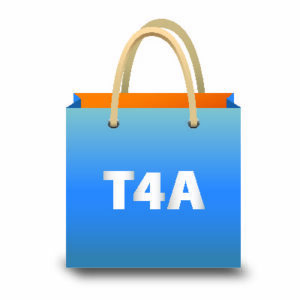 A conservation fee of R40 per adult and R20 per child is payable. Previous PostAn epic adventure in the OkavangoNext PostMore than 1 million kilometres of roads covered!